Dance Biopharm Strengthens Leadership Team to Advance Late-Stage Diabetes Development Program and Transition Pipeline Candidates into Clinical Trials :: Dance Biopharm Holdings Inc.
SAN FRANCISCO--(BUSINESS WIRE)-- Dance Biopharm Holdings Inc. (“the Company” or “Dance”), a privately-held clinical stage biopharma company focused on the development of novel soft mist inhalable formulations of biologics for people living with chronic diseases, announces the appointment of Dr. Melissa Rhodes to the position of Chief Development Officer and Mr. Michael Kaseta to the role of Chief Financial Officer. Dr. Rhodes will have primary responsibility for leading the registration trials for Dance 501, the company’s soft mist inhaled insulin, and accelerating the prioritization and transition of key pipeline programs into human clinical trials. She will assume her new role on February 4, 2019. Melissa has more than 15 years of firsthand drug development and biotechnology industry experience including almost a decade at GlaxoSmithKline. Most recently, she held the position of Chief Development Officer at Altavant Sciences, where she was responsible for project leadership of clinical assets, as well as translational medicine, chemistry manufacturing and controls, regulatory affairs and project management. Previously, Melissa served as Senior Vice President at Roivant Sciences, Inc. where she managed all aspects of nonclinical research. She holds a PhD in pharmacology and toxicology from Duke University Medical Center and is a Diplomate of the American Board of Toxicology. As Dance’s new CFO, Mr. Kaseta will be responsible for the finance function as well as overseeing aspects of the company’s human resources, information systems, investor relations and alliance management, in collaboration with other team members. In addition to ensuring the company is well funded to support its development programs, Mike will play a vital role in formally establishing and leading Dance’s joint development venture with Dongbao in China and managing key partner relationships. He will start with the company on January 21, 2019. Mike has a strong background in finance, business strategy, product licensing and commercialization of biopharma products, including insulin, having worked at Sanofi SA for more than a decade. While at Sanofi, he served as the Chief Financial Officer for North America, Global Services and the North America Pharmaceutical Region, where he was deeply involved in the commercial launch of multiple diabetes products, as well as other biologics and pharmaceuticals. Most recently, Mike served as the Chief Financial Officer at Aralez Pharmaceuticals. “We are excited to welcome Melissa and Mike to our rapidly growing executive team. Their track record of strong leadership and technical expertise provides Dance with the right infusion of industry experience and energy to advance the development of our inhaled biologics portfolio for treatment of patients living with chronic diseases,” stated Anne Whitaker, Director and CEO of Dance. “In addition, on behalf of the entire Dance board, I would like to thank Don Huffman, who is stepping down as the CFO, for his important contribution to the company over the past few years. We are grateful that he will continue as an advisor to Dance,” she said. The International Diabetes Federation’s (IDF) Diabetes Atlas eighth edition estimates that approximately 425 million adults were living with diabetes in 2017, and another 325 million people were at risk of developing type 2 diabetes. For most patients with diabetes, the disease leads to serious medical complications. Insulin treatment for glucose control can extend a patient’s life expectancy, improve quality of life and reduce the cost of managing diabetes. Inhaled insulin delivery offers a potentially promising needle-free alternative for managing diabetes. 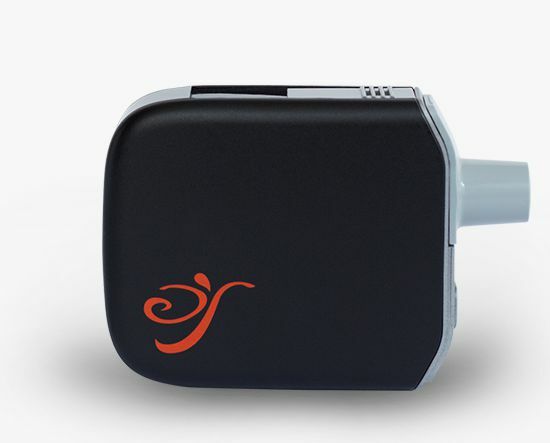 As the company’s most advanced clinical candidate currently studied for the treatment of type 1 and 2 diabetes, Dance 501 is a transformative drug device combination product, which includes a novel, preservative-free formulation of inhaled recombinant human insulin delivered via a proprietary, handheld soft mist device that is part of a connected health platform. Dance 501 has been designed to enable convenient and confident delivery of insulin into a patient’s lungs in just a few breaths, yielding high lung deposition and distribution. About Dance Biopharm Holdings, Inc.
Dance Biopharm Holdings, Inc., is a private company focused on developing novel inhaled formulations of medicines to treat diabetes and other serious chronic diseases. The company began operations in 2010, founded by Dr. John Patton, who has more than 28 years of experience developing inhaled insulin and other inhaled therapies. For more information, please visit www.dancebiopharm.com. All statements other than statements of historical fact included in this press release are forward-looking statements that are subject to certain risks, trends and uncertainties that could cause actual results and achievements to differ materially from those expressed in such statements. We have based these forward-looking statements upon information available to management of Dance as of the date of this release and management's expectations and projections about certain future events. It is possible that the assumptions made by management for purposes of such statements may not materialize. Actual results may differ materially from those projected or implied in any forward-looking statements. Such statements may involve risks and uncertainties, including but not limited to those relating to our limited operating history, our ability to successfully develop Dance 501, the cost and uncertainty of obtaining regulatory approvals, our ability to bring Dance 501 to multiple markets and our ability to develop inhaled formulations of other medicines. Source: Dance Biopharm Holdings, Inc.